When families look for the right child care or early education program, they’re thinking about what works best for them and their children. While cost and location are considerations, a program’s quality is essential to children’s development and preparation for school. Maryland EXCELS helps families by providing resources to find and choose child care and early education programs that have been awarded quality ratings for achieving standards and implementing practices known to promote positive child development and learning outcomes. Families can search for programs on the Maryland EXCELS website and Quality Finder app. Criteria for Quality Ratings are also viewable. Additional resources on how to best help children grow and thrive are available, too. In Maryland EXCELS, child care centers, school-age child care programs, family child care homes, and public prekindergarten programs earn ratings from 1 to 5. A rating of “1” means a program has met initial quality requirements. A rating of “5” means a provider has demonstrated the highest Quality Rating, which includes state or national accreditation. By consulting the Maryland EXCELS website, families can explore what distinguishes high-quality programs, said Tonya Satchell, Early Child Project Administrator for Johns Hopkins University, School of Education, the Institute for Innovation in Development, Engagement, and Learning Systems (JHU IDEALS), a partner in the development and operation of Maryland EXCELS. Children benefit from higher levels of quality programming by receiving the strong educational foundation they’ll need for school and beyond. 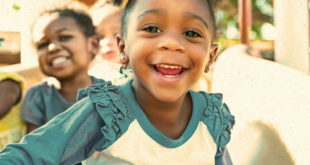 A child’s consistent exposure to quality child care and early education before kindergarten is key to their ability to succeed once they start school full-time. Programs that consistently incorporate engaging activities and age-appropriate curricula help prepare children for future academic success. The Maryland State Department of Education (MSDE) Division of Early Childhood Development established the Maryland EXCELS program and standards for quality based on a thorough analysis of research, stakeholder feedback, administrative policies, and other states’ practices. MSDE and JHU IDEALS work collaboratively to ensure programs meet the standards. “The licensed facilities in our state meet the basic requirements for licensing—that’s the foundation upon which our quality rating system is built. But programs in our rating system are going above and beyond what licensing requires,” said Lindi Budd, Maryland EXCELS Branch Chief with MSDE. High-quality child care and early education programs give children the strong foundation they need in school and life, and participating in Maryland EXCELS puts children on a path to excellence.